Edited by Nathaniel Tan. Published by Kinibooks. 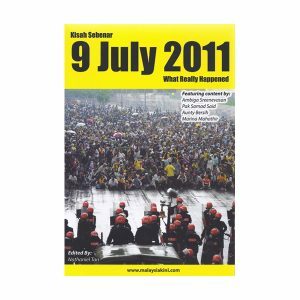 This bilingual book features eyewitness accounts from Malaysians who were there, selected from Malaysiakini, LoyarBurok, Facebook, blogs and twitter. 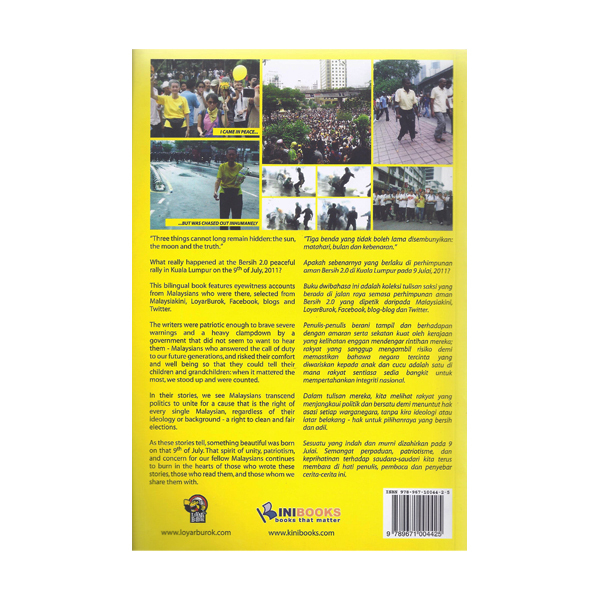 Featuring content by Ambiga Sreenevasan, Pak Samad Said, Aunty Bersih, Marina Mahathir, etc.